Application Basically used for copper wire cutting. The cuticle nipper is a strong and precise instrument for clean removal of the cuticle and residual skin even in the corners and round edges of the nail bed. There are various cutting lengths available for different cutting habits. Made out of high grade stainless steel.Hand filed cutting blades.Good for trimming cuticles& hang nails. Can be sterilized repeatedly. Comes with a tip proctective cap. 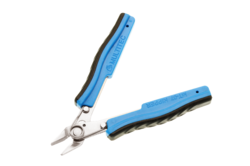 We have marked a reputed position in the market by providing a high quality range of Cuticle Nipper. - Never cut live skin. 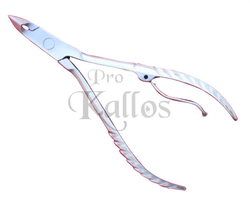 Finest quality Vega Cuticle Nipper with side spring. Hand finished precision cuticle trimming implement ideal for clipping back the fine layer of skin that grows at the base of the nails as well as hangnails. Heat treated and hardened cutting edge.